Authorities said that Honey Singh may be invited to deliver the convocation speech too if the response is good. After the recent controversy in which Mr Narendra Modi was rejected as a panelist at the Wharton India Economic Forum which is to be held on 23rd March there has been a slight change and all the members of the organizing committee after due consultations and approvals have decided to invite Yo Yo Honey Singh for it. Reporter- Yo Yo how does it feel to be invited for such a prestigious event? Honey Singh - Dude atleast say my name properly .It is Yo Yo Haniiiiiiii Singhhhhhhhhh.Now don’t tell me that u don’t know how to pronounce it. My name represents 80% of every song’s lyrics. Godammit! Reporter- Fine Yo Yo Haniiiiiiii Singhhhhhhhhh tell us how does it feel like to be called for this event? Honey Singh- Oh ji it feels great to be called for an event like this. Nowadays I am busy watching Modi’s videos on YouTube.They told me that I have to act like a pseudo intellectual.So I am trying my level best to become one. We also tried to get Mr Narendra Modi’s views on the matter. Reporter-Sir you must be aware that after rejecting you Wharton has called Yo Yo Honey Singh for a speech. How does it feel? Modi- It is very shocking indeed that after doing so much development in Gujarat they choose to call Yo Yo Honey Singh and not me. Reporter - Sir this shocking move by Wharton is seen in political arenas as a #Blow to Modi. Reporter- Sir what are your plans ahead?? Reporter- What?? Dairy conclave?? WTF is this? 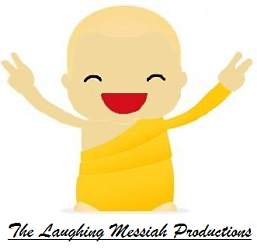 Modi- Well we shall be discussing about new developments in the field of dairy farming and also rework on the marketing strategies for Lassi.Planning to give it weird Italian names like Lassichino ,Lassi Latte etc and sell it off at rip off rates in international markets. This strategy always works to fool consumers.Trust me !! 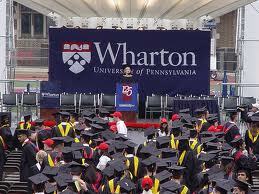 Renowned author Salman Rushdie condemned the Wharton School of Business for taking such an action. Reporter- Sir so u support Modi ji right? Salman Rushdie- What the hell is this? Modi can't take away all the publicty. Lemme make this crystal clear ONLY I have the rights to be invited and rejected at pseudo intellectual meetings concerning India like the Jaipur Literature Festival. Wharton should have atleast had the courtesy to invite & decline the invitation to me. I would have never felt bad about it. Arnab- I don’t get it.Why did they have to invite Yo Yo Honey Singh out of all people considering the useless and morally degraded songs he has made. Reporter- But sir I saw you dancing to ‘Angreji Beat Te’ song by him at the Times Now party last week. The question we should be asking ourselves as citizens of a democratic nation is WHY do fellow singers like Himesh Reshammiya ,Altaf Raja(of ‘Tum To There Pardesi,Saath kya Nibhaooge’ global fame) feel discriminated against and the whole nation seems to have boycotted their songs completely like they had boycotted foreign goods during Swadeshi movement pre Independence era. Reporter (in Roadies Rannvijay Singh style)- I AM STUNNED !! ‘So out of all homo sapiens in a country as large as ours you zeroed in on Honey Singh out of all people? Disclaimer- This above article is a work of pure fiction and is meant to be taken in good humour.